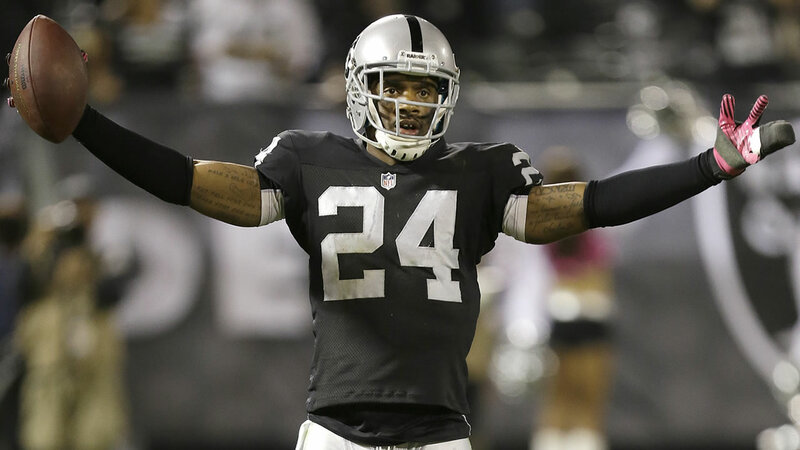 OAKLAND, Calif. (KGO) -- Monday evening Charles Woodson announced his retirement and reflected on his best moments with the Oakland Raiders at a press conference. Woodson, 39, was drafted by Oakland out of Michigan with the No. 4 overall pick in 1998. He played eight seasons with the Raiders from 1998-2005, before playing for the Packers from 2006-2012. He then returned to Oakland in 2013. He has had a long, impressive career in the NFL. Besides being a Champion in Super Bowl XLV with the Packers, he is currently tied for fifth on the all-time interceptions list with 65 and is tied, with Rod Woodson and Darren Sharper, for having the most career defensive touchdowns with 13. He is an eight-time Pro Bowler and a three-time First-Team All-Pro. Woodson's final home game is this Thursday night with the Raiders hosting the Chargers at the Coliseum. Click here to see top 10 Charles Woodson Moments on Raiders.com.